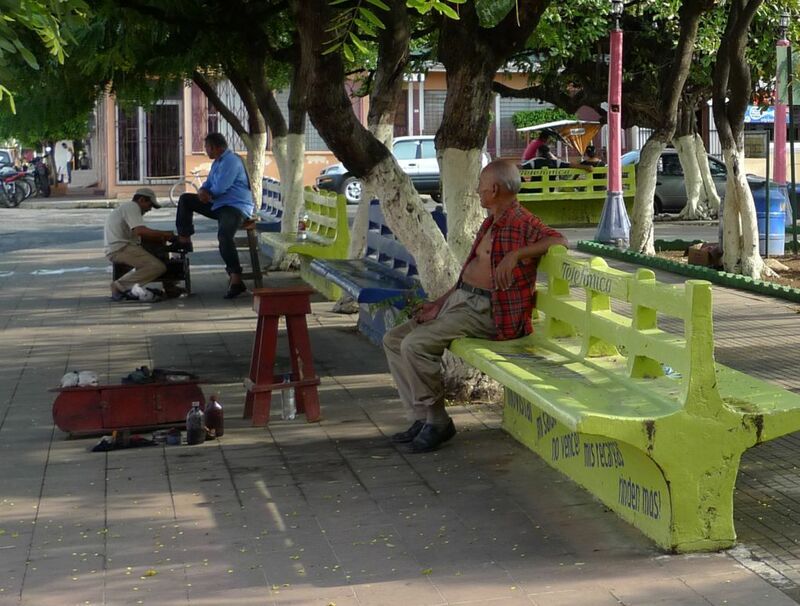 Debbie of Retired & Rewired in Nicaragua recently posted The Decay of Dignity and triggered a memory from four or more years ago when I was passing through Rivas Nicaragua. Rivas was my timeout spot, where I threw on the brakes and rested while making the required 72-hour ‘border exits’ out of Costa Rica to keep my passport in good standing. I often chose Rivas over the highly-popular San Juan Del Sur because I wanted to immerse myself in a typical Nicaraguan town untainted by tourists. I usually rested the first day, ventured around the town on the second day, took the ferry to Debbie’s beloved Isla Ometepe on the third day (for lunch and to see the museum!) then prepared to return to Costa Rica on the fourth or fifth day. Most every morning I arose with the chickens and explored the streets in search of photo moments in the early-morning light. On several previous trips to Rivas, I crossed paths with a weathered man with a perpetual ‘fool-on-the-hill’ manner that made me wonder what drug had fried his brain, or if a lifetime of drinking home-brewed sugar cane liquor destroyed his mind a little at a time. I don’t enjoy photographing misery or the dark side of a man’s character, but this man photographed well; he had presence! Perhaps there was more to this man with the foolish smile?